Once Fall planting season fads, an early change to Winter Merchandise can keep the Garden Department active and profitable. 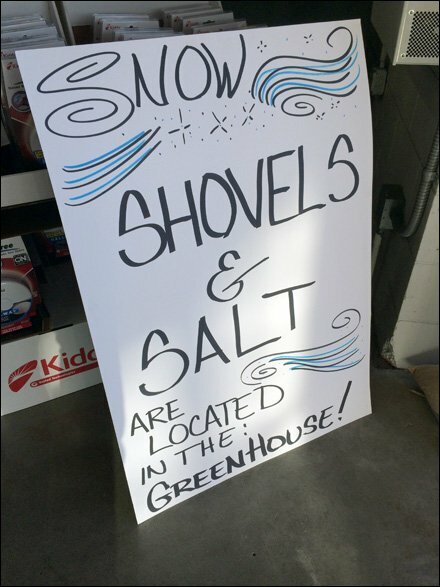 While corporate preps the permanent signs, this aggressive store sales staff fills the gap with hand-lettered Garden Dept Winter Changeover signs promoting Snow Shovels and Salt available. Bravo, floor staff. 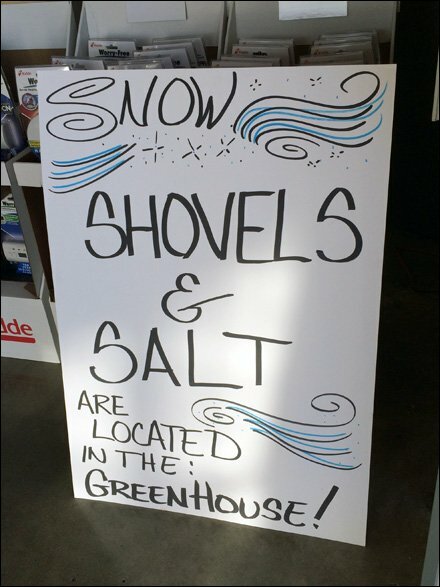 See the Garden Dept Winter Changeover thumbnail for alternate angle or this home-made sign and directional solution.